﻿ Anantara Mai Khao Phuket Villas, Thailand | FROM $284 - SAVE ON AGODA! "Room,foods and services are really good." 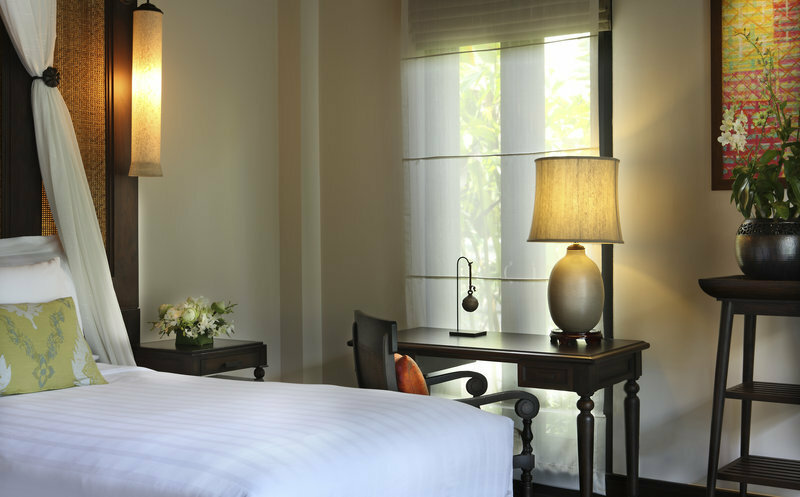 Have a question for Anantara Mai Khao Phuket Villas? "Complimentary early check in and late check out with a shower room booked for us was really appreciated!" "It is one of the most relaxing and lovely resorts we have been to." "Hotel staff were extremely courteous and friendly and looked after us like family." "All the staffs were very helpful and friendly." 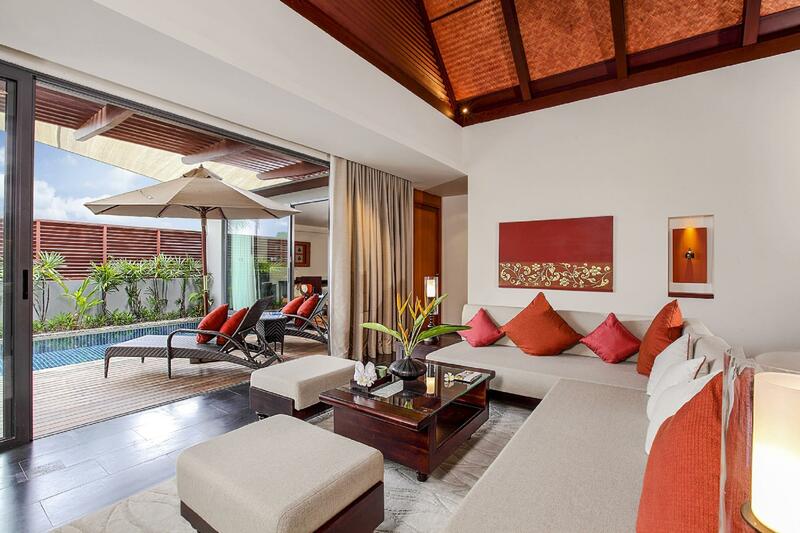 Enclosed in a luxurious haven, each of the 83 private pool villas will delight you. 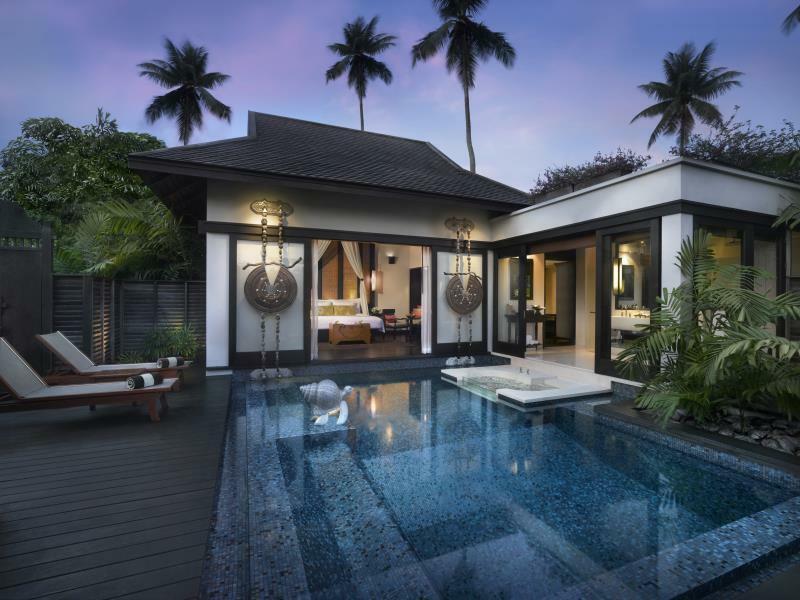 Anantara Mai Khao Phuket Villas is located on the Mai Khao Beach, the longest on the island, and is just a 15-minute drive from the airport. Accommodation is in free-standing villas, perfect for families or for a romantic getaway. Wake up to a glorious sunrise, go for a dive in the Andaman Sea, stretch with some yoga, taste authentic Thai cuisine, and end the day with a jaw-dropping sunset. Lie down on the beach or hire a luxury yacht for a relaxing time that ranges from the most basic to the most extravagant. Guests are sure to be well-cared for at the Anantara Mai Khao Phuket Villas, a luxurious holiday that sees your every wish catered to. Please be informed that in case of no shows or early departure, the full period of stay will still be charged. 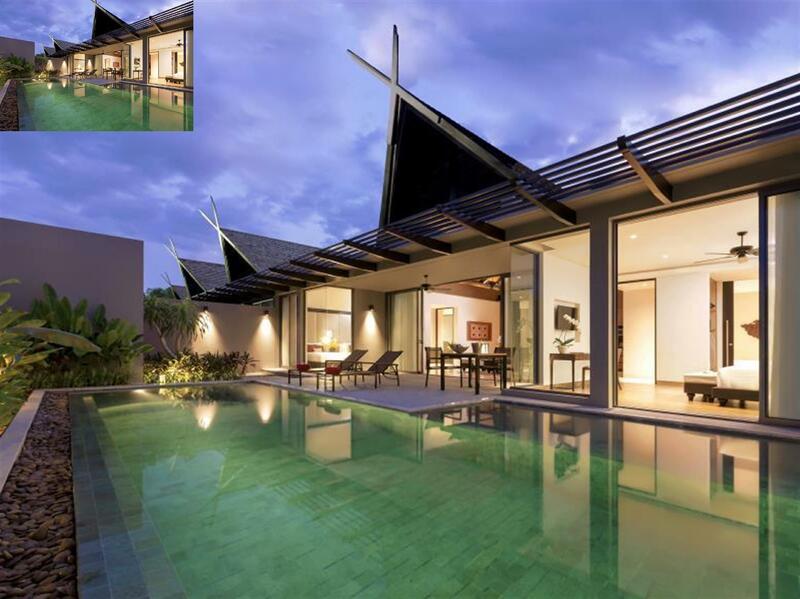 Two Bedroom Pool Pavilion room type and Three Bedroom Connecting Double Pool Pavilion are located at Anantara Vacation Club which is adjacent to the property. Please contact the property for more information. Children 4-12 years old will be charged THB 2648.25 per child per night when using existing bed or sofa-bed (breakfast included). All the staffs were very helpful and friendly. I forgot my iPad in my room and when I called from the airport to inquire , the staff informed me that the housekeeper had already helped me to put my iPad back in my luggage before checkout . They really helped to save my headache. Holidaywise - fantastic! Staff were very courteous, helpful, friendly and accommodating! The villa was really good and we were impressed as to how well they optimised the floorspace. Everything was very well planned and turndown twice a day was very helpful as we utilised the in-villa pool so much! Just didn't want to leave the villa at all... However, the disappointment came when we were invited to the Vacation Club and we thought- why not, an introduction to their properties would be excellent! How shocked we were when the salespeople started to hard-sell us their packages, don't get me wrong, the concept was good, but the way it was done as well as the huge downpayment needed for the resort package - that was a total let-down... just wanted to get out of there ASAP... 120 minutes (maybe more than that) of our morning taken up... just a word of warning to fellow travellers intending to listen to their vacation club talk.... Be aware of what you are signing up for! Anantara was my favorite resort in Phuket of the three we have tried. Outstanding experience, truly first-rate in every way. Bike riding around the property is a charming touch. Breakfast (which you should buy) included mouth-watering Thai and Western cuisine. No complaints, but we didn't fully understand how far you are from Phuket proper. You need to plan on an hour each way to do things in Phuket, which is somewhat limiting. The kids loved it and refused to check out. Would definitely visit again. Hotel staff were extremely courteous and friendly and looked after us like family. Location was perfect and close to the airport. They went above and beyond to accommodate every need of ours. Absolutely stunning and definitely coming back. I got free upgrade 2 bedroom and extension my last stay until 5 pm according to my flight schedule. This resort is very well organized and the service quality of all staff is very good . All are ready to serve at any request from guest. Breakfast is really nice not to skip it. One demerit is restaurant at dinner. It's expensive than its quality. Resort is really amazing. Each villa is very spacious, with its own swimming pool and sun deck, all with total privacy. The Thai restaurant is one of the best I have ever been to. The staff is always smiling and ready to help. Great experience all around ! Everything was amazing. I have two points only about it; the hotal is very dark at night. Second; when we checked-In, the hotel has a gift from the tour company for couples ( a free selected trip ), we decided to go to Phiphi island, however were very disappointed when they claimed it was fully booked for all types !! This was our first impression ! A fantastic time spent there. Had the most beautiful experience to date. Arrangements were made earlier and it's was exceeded during our stay there. Truly unforgettable experience. We will definitely be back again after leaving with a heavy heart. A bug thank you to all the staff that made it all happen. From the cleaners to the landscapers to the service crew. Amazing! Very helpful staff there and the room is very pretty. Many signature food in restaurant and we also went to another Anatara hotel nearby for a walk. It is a heaven with peaceful environment. So relax to be there. My stay at this hotel, Private Pool Villa was truly enjoyable. The hotel was extremely comfortable and cooling. Staying there was not only a fun time, but an experience of comfort and luxury. Over my stay at the hotel, the hotel was kept as clean as it was when I entered, hence giving me a good impression of the Anantara House Keeping team. I strongly believe that the commendable staff at this hotel pushed themselves to their limits and tried their best to make every night of my stay enjoyable. They were willing to comply to my family and I's needs with no complaint and a smile on their face, for example, ferrying us from place to place in a buggy. However, the location of this hotel was quite remote and the food was though fresh, ordinary and not unique to Phuket. One thing I must say is that the buggy was original and convenient. Maintain the good service and hotel quality, make some minor adjustments and I fell that the Anantara would be as popular as it ever was. Our stay was exactly what we hoped it would be. My friends and i were looking for a quiet place to do activities away from the crowd and anantara was perfect. The villa was clean, private pool was beautiful and the food was great. We did the 22 km bicycle tour, tennis, gym and swim in both ocean and pool. This hotel is good for both families and couples. The villas were nice a private so even if the hotel was fully bookes you won't feel crowded. The food was good and clean at all their outlets. What really surprised us was the level of service. I want to tip my hat to the gm and the staff. They were not just friendly but genuinely helpful. On my last day i twisted my ankle quite badly and the speed with which the staff coordinated to bring the doctor, ice and crutches was impeccable. I would recommend the hotel to everyone except people who are looking for excitement. The hotel is in a quiet area of phuket, so if you want vast quiet beach, good food, exercise, and a break from your hectic life, then this place is it. Villa superb. Clean and spacious. The only drawback is limited food choice. Hotel restaurants are expensive, not value for money and quality just so so. Call for delivery from Kin Dee, very nice at cheap price. The restaurant Chaam near the resort offers western and some thai cuisine at a reasonable price. My family spent 4 days here and very much enjoyed the service and facility. Resort is very quiet and very private. Villa is big enough for my family and with private pool. I got upgraded for lagoon view which is very nice. Service is excellent and very custom-oriented. Most of staff are nice and friendly, except one staff (already informed hotel in the feedback form). Location is not too far from airport, but far from downtown, patong, other beach areas. Food price in resort is quite high, but there is a Turtle village which is like a small shopping mall nearby and there are many reasonable-price restaurants there. My family really loves this place and will definitely come back again. I purchased this stay for my in-laws at Anantara. They were very pleased with the Sala restaurant, the Tree House Bar, the Infinity Bar, and Sea. Fire. Salt. the seafood restaurant, save for the rock lobster thermidor at the last restaurant due to excessive salt used. My mother-in-law was also impressed by the Anantara Spa, although she was slightly disturbed by the noise from the Marriott pool nextdoors. An amazing experience for us all. This hotel speaks of personal attention to individual guests. Apart from the usual humdrum about the luxury details of the room, we had a small incident in which my wife needed to go to the local private Bangkok Hospital. Not only did Anantara arrange for the early morning transport to the hospital, but they also followed up by offering an extended stay for my wife to get her up to her high spirits. The complimentary golf cart access around the property and also to and from the local area are also worth mentioning. all the villas come with a private pool. great facilities overall. this was our first time in thailand and the anatara resort was everything we expected. the resort plan is really impressive with all the villas afforded full privacy and the standard of furnishings is very high. what we particularly liked was the attentive staff and their attention to detail. any excursions we booked through the hotel was also very well organised.